Dr. Gallardo is a Professor of Psychology and Director of Aliento, The Center for Latina/o Communities at Pepperdine University. He is a licensed psychologist and maintains an independent/consultation practice where he conducts therapy, forensic/legal psychological assessments, and consults with organizations and universities on developing culturally responsive systems. He teaches courses on multicultural and social justice, intimate partner violence and professional practice issues. Dr. Gallardo’s areas of scholarship and research interests include understanding the psychotherapy process when working with ethnocultural communities, particularly the Latina/o community and in understanding the processes by which individuals develop cultural awareness and humility. Dr. Gallardo has published refereed journal articles, books, and book chapters in the areas of multicultural psychology, Latina/o psychology, ethics and evidence-based practices, cultural humility, and racial colorblindness. He is currently a Series Editor for Cognella Academic Press’ Advances in Culture, Race, and Ethnicity book series. Dr. Gallardo is currently Director of Research and Evaluation for the Multiethnic Collaborative of Community Agencies (MECCA), a non-profit organization dedicated to serving monolingual Arab, Farsi, Korean, Vietnamese, Cambodian and Spanish speaking communities. 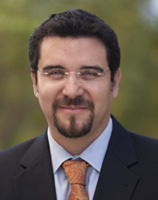 Dr. Gallardo served a 6-year Governor appointed licensed member of the California Board of Psychology. Dr. Gallardo is currently serving a 5-year appointment on the Clergy Misconduct Oversight Board for the Roman Catholic Archdiocese of Los Angeles. Dr. Gallardo is a Fellow of the American Psychological Association.